Unique Moments Photography of Gig Harbor Washington captured this image at the filigree Farms outdoor wedding venue in Buckley Washington. Yup you guessed it. 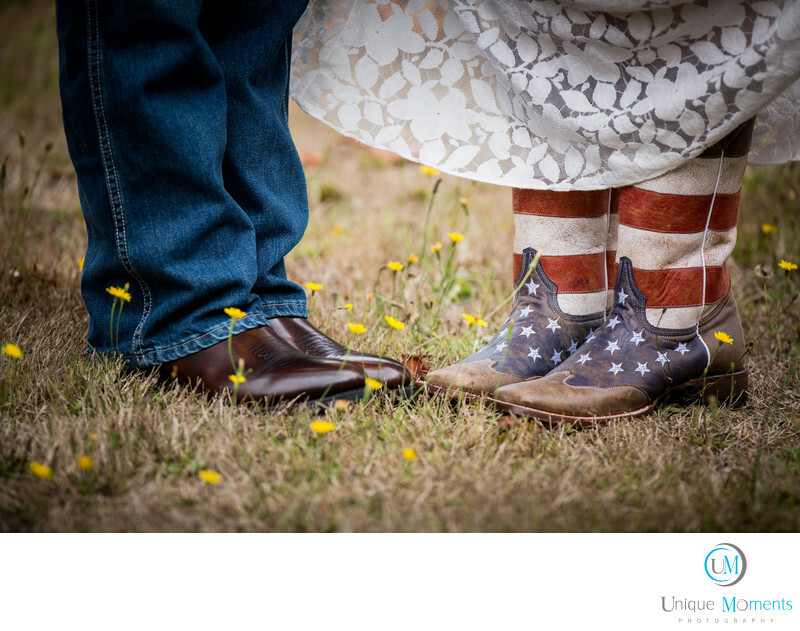 This was a country theme wedding and you cant have a country wedding unless you have some cowboy boots. The image was perfect for this wedding and told the whole story with one frame. We love telling couples stories when we photograph a wedding. We have been telling couples stories for 9 yrs and every year the brides get better and better putting the details together. Its been great fun watching the changes and the brides really know what they want to say. We love what we do for our clients.